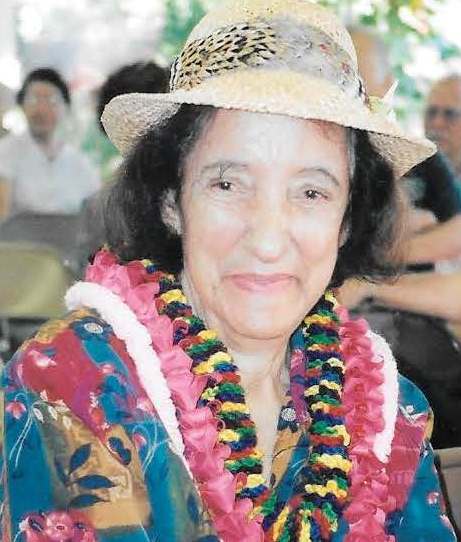 Ellen Kekelaokalani (Marciel) Kahalehoe 94, passed away peacefully on, February 1, 2018 at Kaiser Moanalua. She resided in Papakolea and was born in Hana Maui, She was preceded in death by her husband, James Paulaula Kahalehoe; parents Francis Vierra and Maria (Tallant) Marciel, She is also preceded in death by Daughter, Evelyn Kawailani (Fernandez) Olsen, which her ashes will be interned with her Mother. Also preceded by sons, James Kalakahi and Francis Vierra. She is survived by her sons, Walter (Charlene), John (Kanani) James K Jr. (Rachel) Anthony (Anna Marie), Peter Ai (Nona), Hanai Sons, Paul Kapu Jr, Harry Kapu, Zachary Kapu, David Kapu, and Jonah Kapu. Daughters, Gwendolyn P Rowland (Albert), Puaala McElhaney (Richard) Hanai Daughter, Lisa Ann Sayers Atchison. Survived by two Sisters, Mary Beazley (Delwin) and Madelyn Medeiros. She has 37 Grandchildren, 54 Great Grandchildren and 73 Great, Great Grandchildren. Service will be held on Friday March 2nd 2018, at 9:00 am at Borthwick Mortuary Maunakea Chapel, Aloha Attire. Burial to follow at 1:00 pm. at Green Haven Memorial Park in Kaneohe.